Now that the year is halfway over and theAmerican Taxpayer Relief Act’s (ATRA) “permanent” changes may be altered once again—and North Carolina Tax Reform has yet to establish definite changes—our estate planning lawyers in North Carolina created a list of three steps you can take by the end of 2013. 1. List. Prepare a list of your current assets, beneficiaries, and agents appointed in powers of attorney. If you have acquired new property or made new investments since your last estate plan update you should review how you hold title for properties and retain up-to-date copies of beneficiary designation forms for accounts. One simple estate plan update can prevent your loved ones from experiencing an expensive and time-consuming probate. When listing your assets, include your digital accounts – both financial and otherwise. Login information for online banking, investments, iTunes, Netflix, social media, and more should be documented. Before the North Carolina bill affecting digital assets was ratified and signed by the Governor this month (Senate Bill 279), the provisions for digital assets were removed. 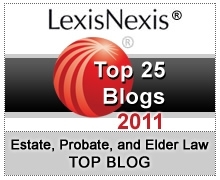 Create a plan for digital accounts with your estate planning lawyer. 2. Tax. Your North Carolina estate planning lawyer can review the proposed NC tax changes and advise you on ways to limit tax liabilities. This is equally important for individuals, business owners, and non-profits alike as the potential amendments may include tax adjustments for all. The North Carolina estate tax is slated for repeal as well, which would eliminate the “death tax” when distributing your estate. The reform may also impose a tax on Social Security benefits, which currently does not exist in North Carolina. Consider additional retirement plan options and check with your financial planner about consolidating accounts. 3. Trusts. Do you have a Grantor Retained Annuity Trust (GRAT) or a dynasty trust? New gift requirements and restrictions, and the loss of a respective tax exemption will affect you under the ATRA. Your North Carolina estate planning lawyer can propose alternative trusts and explain the benefits under both federal and state law. Estate planning is never complete. There are always items you and your attorney can discuss to better preserve your assets for you and your loved ones. Be prepared for federal and North Carolina estate planning changes before they occur by maintaining regular plan reviews with your attorney.